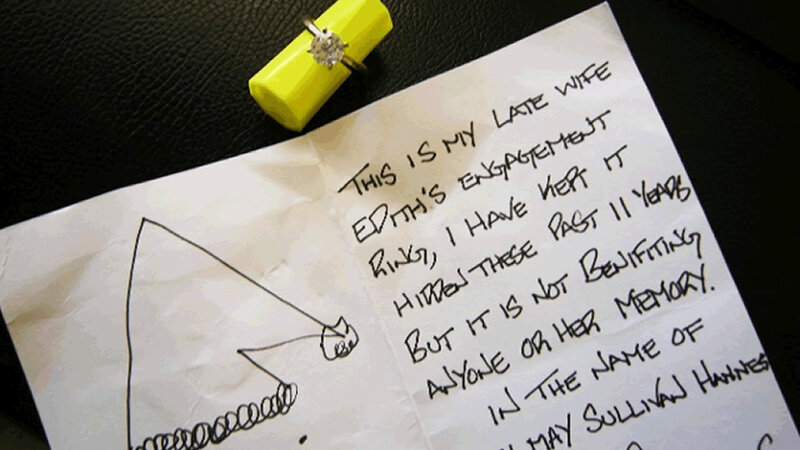 A California man donated his late wife's engagement ring to the Salvation Army. CARMEL, Calif. -- A California man donated his late wife's engagement ring to the Salvation Army red kettle in Carmel. His donation is considered one of the largest donations in the century-long history of the Red Kettle campaign. The anonymous donor dropped his late wife's engagement ring and a note into a kettle outside a Carmel Safeway store on Christmas Eve. His reason for gifting the ring was to honor his late wife, who passed away 11 years ago. The ring was appraised at $3,500.